WATCH Who is Stacey Abrams? Compared to those chosen for the politically challenging role in the past, Stacey Abrams, set to deliver the Democratic response to the president's State of the Union address on Tuesday, certainly bucks tradition. Most notably, Abrams will be the first African-American woman to give the formal response to a president's address, according to archival research from both the House and Senate historians. And even though she lost a tight race for Georgia governor last November, Abrams nevertheless was selected to be the face of the party in a speech seen by millions nationwide -- a testament, experts have said, to the power Democrats believe Abrams holds to connect with a diverse electorate in a moment of American politics enveloped by the complexities of gender and race. Moreover, in the aftermath of reports of racist photos involving Virginia's Democratic Gov. Ralph Northam, Abrams' words will be increasingly in the spotlight. "I know there were some headlines that characterized her as the future of the Democratic Party. In my estimate, she is the present and the future. She's shaping the future," Rep. Ayanna Pressley, who in 2018 became the first African-American woman to represent Massachusetts in Congress, said in an interview with ABC News. And while Abrams' defining characteristics set her apart, they also match her up for the current, unpredictable era -- one in which the State of the Union is pushed back after a historic government shutdown, and the president giving the address had never held elected office himself before taking office. "I think it's untraditional in all the right ways -- and ways voters are showing themselves to have an appetite for," said Jamila Michener, a professor at Cornell University who researches racial inequality and the electoral system. Considering African-American women, Michener said, who are "the electoral bedrock of the Democratic Party," Abrahms' selection is "almost a kind of 'duh' moment for the Democrats, and one it's good they finally had." Congresswoman Ayanna Pressley addresses the crowd during the 49th Annual Martin Luther King Jr. Memorial Breakfast in Boston, Jan. 21, 2019. Giving the rebuttal will be a notch on a long resume of groundbreaking roles for Abrams, who was the first African-American woman to be nominated for governor by a major political party and the first woman to lead a party in the Georgia Statehouse. She also was the first-ever recipient of the Gabrielle Giffords Rising Star Award, an award for rising women in public service. That was how she met her close friend -- the aforementioned history-maker -- Pressley, who received the award the following year. "Stacey has many times had history-maker attached to her name," Pressley said, speaking with ABC News a few days before the address. "But I don't think she set out to make it. I don't think she ever set out to be the first anything." "I think she's been enthusiastically received because the electorate is clamoring for truth tellers and justice seekers and grassroots foot soldiers and visionary architects -- and those are all the things that Stacey embodies," Pressley said of her friend. 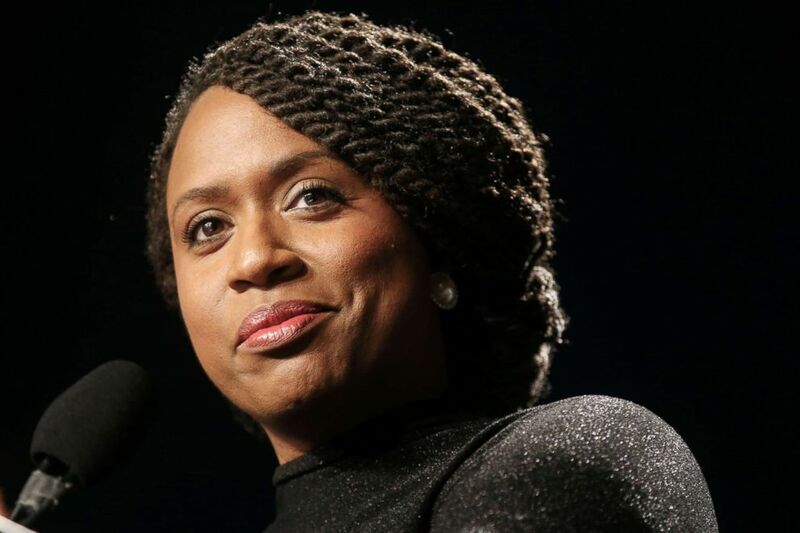 Pressley, like Abrams, is credited with expanding the electorate in 2018 in a way that lit up the Democratic Party, providing momentum for 2020. "Her race, like mine, did expand the electorate and so it's easy to make that just about votes, but really it was about engaging voices," Pressley said. "New people are feeling heard and seen in the first time ever." Democrats are keenly aware of the power of mobilizing African-American voters across the country -- a factor that gave Sen. Bernie Sanders a boost in his presidential campaign in 2016 and hampered Hillary Clinton's run. And when Democrats took back the House in the midterms, exit polls showed black women voted for Democrats at higher rates than any other group. In traditionally red, Southern states like Alabama, where 98 percent of black women brought Democrat Doug Jones over the victory line with their votes in 2017, or in Georgia and Florida, where both Abrams and Democratic candidate for Florida governor Andrew Gillum came close to victories in 2018, Democrats continue to see the impact of connecting with the black community. For both Abrams and Gillum, those races also took on bigger causes of voter suppression -- allegations of which led to lawsuits and the creation of Abrams' group, Fair Fight Georgia, which focuses on improving the state's election system. Let me be clear: We won in Alabama and Virginia because #BlackWomen led us to victory. Black women are the backbone of the Democratic Party, and we can't take that for granted. Period. That's why even losses -- such as in the cases of Gillum and Abrams -- have Democrats excited. "They fell short, but look what they did in coming close," Democratic strategist and former interim chair of the Democratic National Committee Donna Brazile said in an interview with ABC News just before Democrats announced Abrams as their pick for the rebuttal. 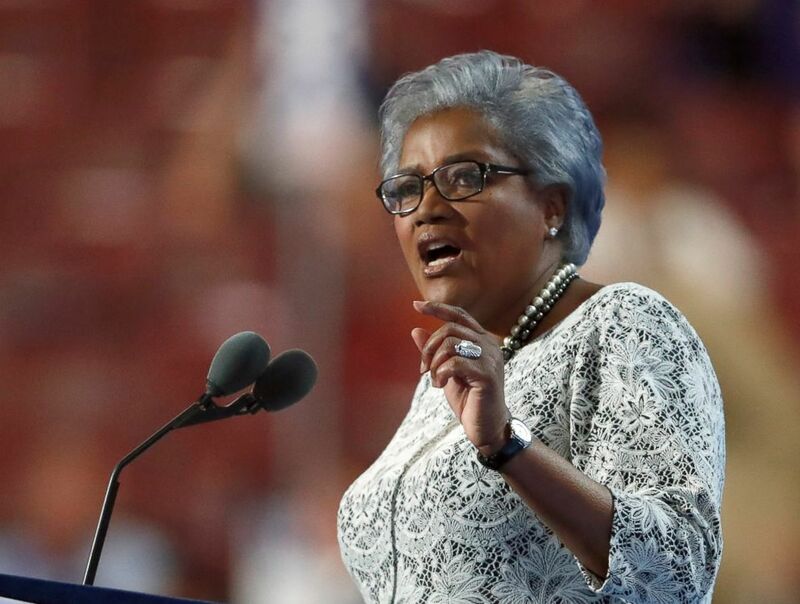 "They expanded the electorate, they made it possible for the next person who gets on the ballot to win -- and they also wrote a new political playbook that I think Democrats have to work on, and that is the campaign has to be about you and not your opponent," Brazile said. Pressley, who said she initially worried that a decisive margin of victory for Democrats in 2018 would allow the party to be less introspective, pointed to picking Abrams as a sign the party was still moving forward. "The fact that Stacey Abrams will be delivering the State of the Union response is an early and encouraging indicator to me that we are taking stock of those lessons learned," Pressley said. And experts say choosing Abrams, despite her loss in 2018, sends a unique message that the party doesn't intend to let that energy go. "The Democrats aren't going to leave that money on the table," Michener said. "There are some real rewards at stake here. It's crucial for the Democratic Party at this point to decide what sorts of voices they want to represent and what sorts of inroads they want to make as far as the party being optimally inclusive." "We can kind of see the Democratic Party -- in the people, the candidates -- are thinking about black voters," said Grant, mentioning the early focus 2020 presidential candidates are placing on states like South Carolina, where a majority of those casting ballots will be African-American. "Choosing Abrams is in line with that idea that black voters matter," Grant said. That being said, Abrams is up against a tough challenge. The rebuttal is no walk in the park. It's taken victims, whether it's because of awkwardly interjected sips of water, overused ChapStick, or the premise of rebutting the person in the highest elected office in the U.S.
And in the age of Trump, experts also have said Abrams also needs to unify diverse demographics, a challenge she's acknowledged. One way to go about it? Don't go straight for Trump, Grant said, mirroring Brazile's advice for Democrats to focus on themselves and not their opponents. "I think the things she stands for are already in direct conflict with what he stands for," she said. "I don't think it's as tricky as you might think," Pressley said. "Stacey Abrams is just a sharp contrast in every way of the current occupant of the White House — and that is not only immediately true, visually, but it is also true in how she presents, in how she engages." Another challenge may come if some voters see Abrams as a pick that qualifies as "identity politics," Michener said, a point of sharp criticism of the party after the 2016 presidential elections for voters who thought too much focus on marginalized groups fractured the party. Georgia gubernatorial candidate Stacey Abrams makes remarks during a press conference in Atlanta, Nov. 16, 2018. It's a factor Abrams, who has argued instead that "identity politics" strengthen Democracy, has pushed back on, writing in a recent essay that her campaign built an "unprecedented coalition of people of color, rural whites, suburban dwellers, and young people in the Deep South by articulating an understanding of each group's unique concerns instead of trying to create a false image of universality." 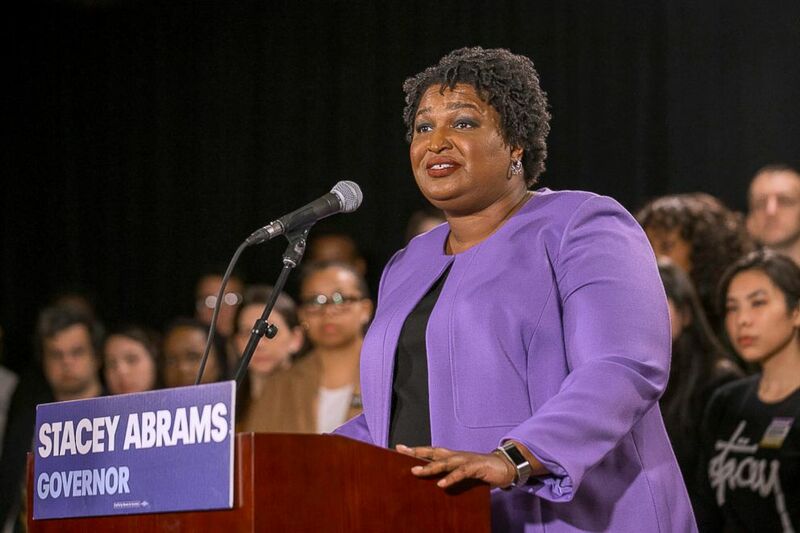 "In my bid for office, I intentionally and vigorously highlighted communities of color and other marginalized groups, not to the exclusion of others but as a recognition of their specific policy needs," Abrams wrote in the essay. The essay was published days after Abrams was announced as the Democrats' pick for the rebuttal. "It's interesting to me that Democrats took that really hard thing to do [the rebuttal speech] and they gave that platform to a massively successful African-American, who appeals in ways Democrats might want to come forth, but also risks highlighting some of the division the party is fighting," Michener said. But, Michener pointed out, without risks, there are no rewards. The role will "require more of her than it would if she weren't an African American woman," Michener said. "But if starting at a disadvantage was a disqualifier for black women, then we shouldn't do anything at all."